Rearranging items to make them more available and adding room for new items. The port side of engineroom. 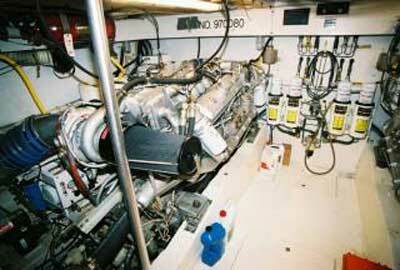 On your lower left, under the turbo is the watermaker. It has filters that have to be changed on both sides of it. There is no way I am climbing around the motor to do this task. The unit will be moved to a better location. This move will also allow us to move the Glendening Cablemaster back, making room for the new marine air units from Dometic Environmental Corporation. Starboard side. The Eskimo ice-shaver is on your lower right. 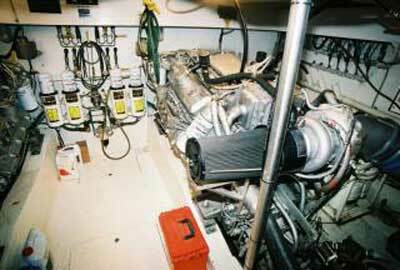 This unit will be removed, checked out and then installed in the cockpit closer to the freezer and away from the engine room heat.